This is the successor of NotEnoughResources. By adding world-gen.json to the JER config folder and toggling the DIY setting ingame you can make your own ore distributions. See github wiki for info on how to generate this using a JER command. I've added loot to creepers using LootTweaker but it doesn't show up in JER. Do I need to add it manually with world-gen.json or should JER be finding it automatically? I couldn't find any examples of the json file online. Ok thanks. 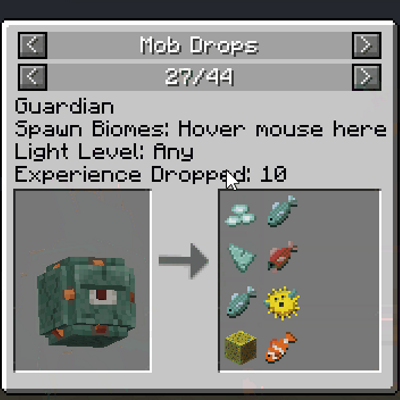 It seems like LT adds entries to minecraft's existing loot table. Is it possible that JER is just not enumerating them correctly? Is there a way to do /profile in the overworld, nether, end but no where else? It seems when I /profile again I lose the old json. I might need to figure out how to merge them by hand. I recognize you! Didn't you use to play Factorio and chat on #Factorio on EsperNet? I think I've also seen you in a few Minecraft-related channels on there as well. any chance of a walk through or video on how to use? Depends on what you want, but there is a few vids out there. I put this mod in a Modpack for 1.7.10 and when I open the interface of this mod the game crashes! 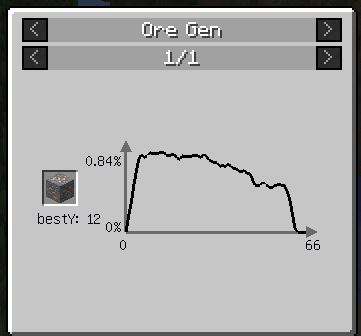 The ore gens that were available in 1.7.10 are based upon the config values in the CoFH ore gen mod thing. Since that doesn't exist anymore, but instead there is the scanning which does require a scan. The only ore gen you can see is the default minecraft generations that are hard coded in JER, other ores should be added by other mods via the API JER provides. Nice, but it seems to not work with any non-vanilla mob or loot table. Is there a way to manually add these? I can only find info about adding ore distribution info. It is up to other mods to register their own mobs. I did have a look at it at some point to try and get them all but couldn't find a neat way at the time. Maybe I'll see if I try that again some time. This last update works on 1.10.2?